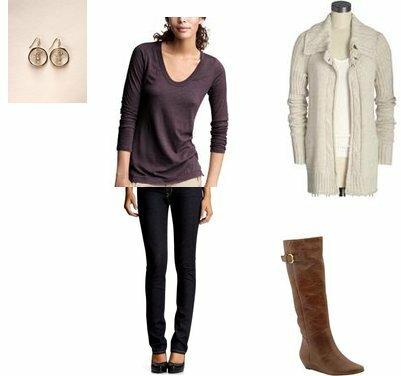 I kept the majority of my suggestions fairly casual but nice enough that she could wear them out and about (a casual family dinner out, etc). The last outfit is a bit dressier, so I would say it's mainly an evening look for this situation. You can purchase the plaid jacket by clicking on the photo below, or you can click HERE and purchase it for about $20 less. LOVE LOVE LOVE all of these! I can even pull them off with my new mom body!